How can Landcafe serve delicious potatoes all year round? In order to keep potatoes fresh as long as possible they have to be stored cold, dark and under a certain humidity. Best conditions are 80% humidity at 2C. Keeping them cold during winter is not a big problem. As spring arrives it becomes a challenge. 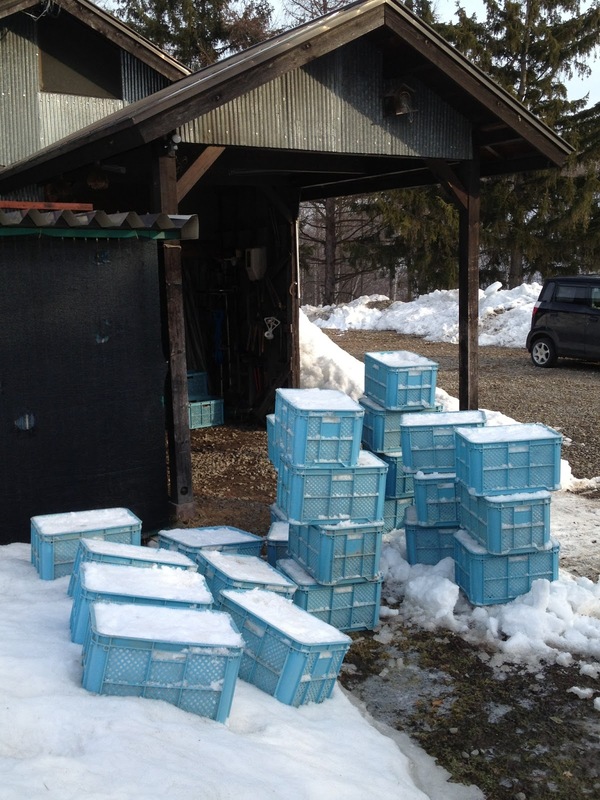 Since many years I do it the natural way with the last snow in spring. A lot of work, but it gives the best taste to the potatoes. Much better than any refrigerator. Every year, when spring comes and it's getting warmer, I put snow in mini-container and let the snow freeze for one night. For that the right timing is the point. 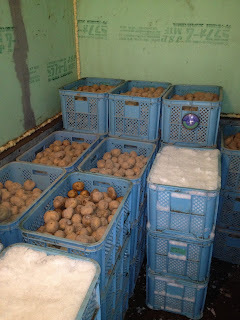 Than, early in the morning, I place the mini-container around the potatoes in the potato store. That's it. This has to be done two or three times during spring until the beginning of May. By this means I can keep on selling fresh and most delicious potatoes until the end of May or beginning of June. Sounds easy but it isn't.